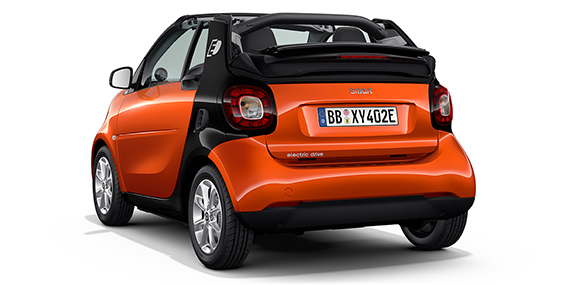 To learn about our smart Offers, please visit or contact our dealership. Thank you! © 2019 smart Canada, a Division of Mercedes-Benz Canada Inc. smart fortwo electric drive coupe shown, MSRP $29,050. *Finance offer based on a smart fortwo electric drive coupe available only through Mercedes-Benz Financial Services on approved credit for a limited time. Finance example based on 60 months with APR of 0.9% and a National MSRP of $29,050**. Bi-Weekly payment is $225 (excluding taxes) with $0 down payment or equivalent trade in. Cost of borrowing is $658 for a total obligation of $29,208. Bi-weekly payments are due every 14 days (182 pay periods in 84 consecutive months) on a particular day of the week. For example, if the first payment is due on a Friday, the next payment will be due after every other Friday (or in 14 days). 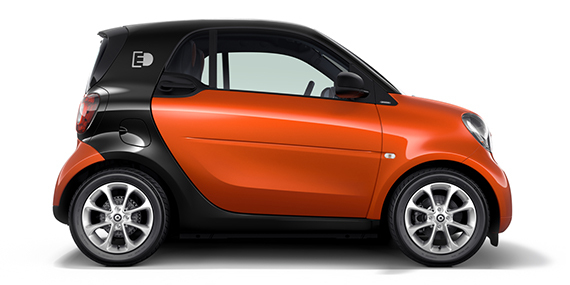 †Cash credit of $500 only applicable on the 2018 smart. Taxes, vehicle license, insurance, registration costs and dealer fees are extra. Dealer may finance for less. Offer may change without notice and cannot be combined with any other offers. See your authorized smart Centre for detail or call smart Canada Division Customer Relations at 1-877-627-8004. Offer valid on vehicles delivered on or before April 30, 2019 .
limited time. Finance example based on 60 months with APR of 0.9% and a National MSRP of $32,050**. Bi-Weekly payment is $248 (excluding taxes) with $0 down payment or equivalent trade in. Cost of borrowing is $727 for a total obligation of $32,277. Bi-weekly payments are due every 14 days (182 pay periods in 84 consecutive months) on a particular day of the week. For example, if the first payment is due on a Friday, the next payment will be due after every other Friday (or in 14 days). †Cash credit of $500 only applicable on the 2018 smart. Taxes, vehicle license, insurance, registration costs and dealer fees are extra. Dealer may finance for less. Offer may change without notice and cannot be combined with any other offers. See your authorized smart Centre for detail or call smart Canada Division Customer Relations at 1-877-627-8004. Offer valid on vehicles delivered on or before April 30, 2019.